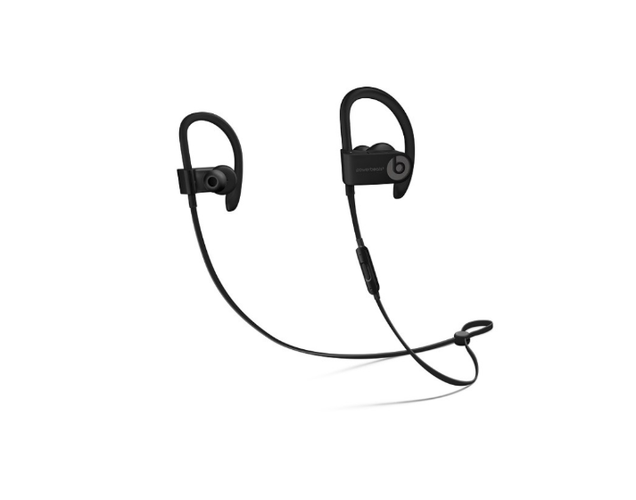 The latest in Apple's Powerbeats line, Powerbeats3 Wireless make no compromises in combining high-quality audio with a slick seamless, wireless design, making them the ideal earphone for fitness fanatics and audiophiles alike. With a battery life lasting up to a staggering 12 hours, with up to an hour of playback from 5 minutes of charge, you can be sure to enjoy hours of crisp, clear audio throughout your day without the worry of constant charging. Powered by Apples Innovative W1 chip, expect seamless setup and switching for your Apple devices, Amazing battery life and 5-minute fast fuel charging. With their fresh, elegant approach towards wireless earphones, Apple has created a product that embodies future innovation. Lightweight, these earphones ensure a thoroughly enjoyable listening experience throughout your daily life, whether that be during an intense exercise session or just kicking back and relaxing, their water and sweat resistance, paired with their ergonomic design ensure endless comfort throughout. RemoteTalk allows you to take calls with a built-in mic, play music, adjust volume and activate Siri. The Apple W1 chip features Class 1 Bluetooth connectivity — the industry-leading classification for range and signal strength. With best-in-class performance, Powerbeats3 seamlessly syncs to your devices, so you can easily move about, keep the music going and stay productive throughout your day. All of our tech products come with a Novata 6 Month Warranty. Based on your preference, we can offer an exchange or a full refund for the Product if they malfunction within the 6 month period. This warranty does not cover any forms of accidental damage. All warranty repairs must be handled directly through novata.co.uk products opened or repaired by any other source will void warranties. novata.co.uk will cover all parts and labour or replace the product at our own discretion within the warranty period.